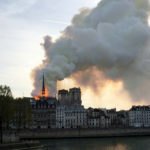 Flames and smoke billow from the Notre Dame Cathedral after a fire broke out in Paris April 15, 2019. 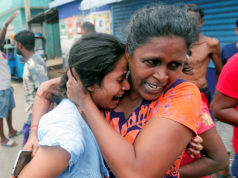 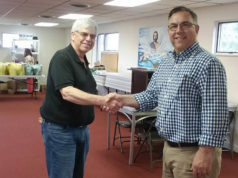 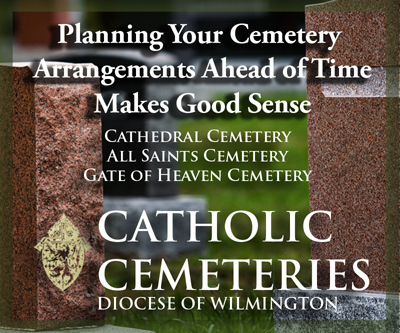 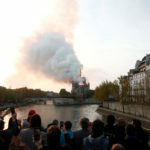 Officials said the cause was not clear, but that the fire could be linked to renovation work. 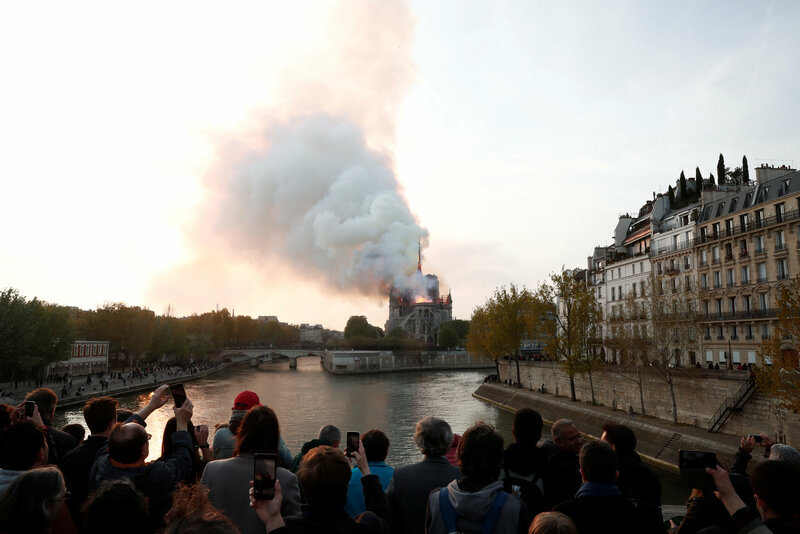 (CNS photo/Benoit Tessier, Reuters) See PARIS-NOTRE-DAME-FIRE April 15, 2019. 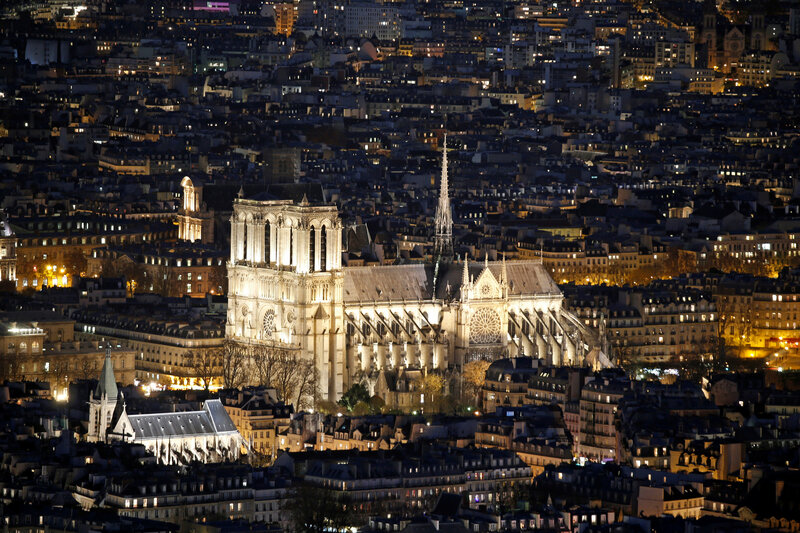 The Notre Dame Cathedral is seen at night in Paris Nov. 28, 2016. 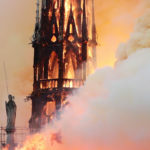 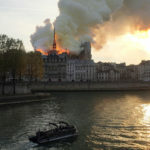 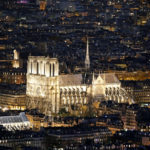 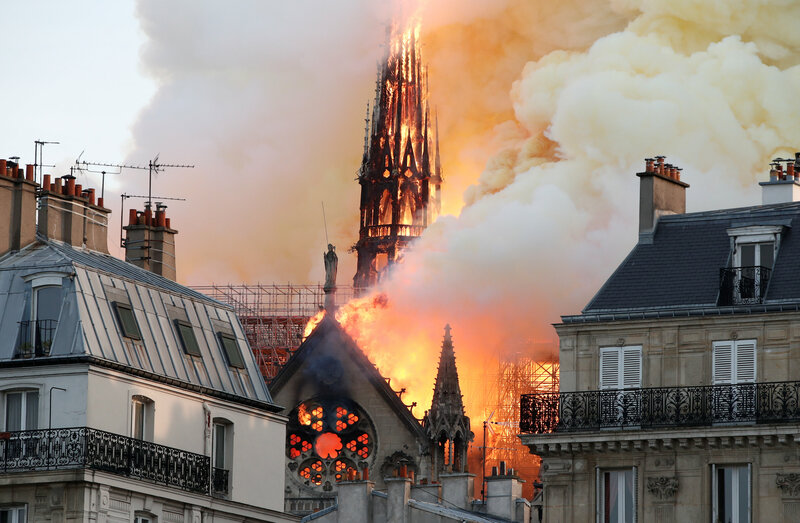 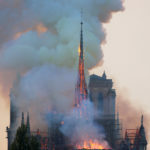 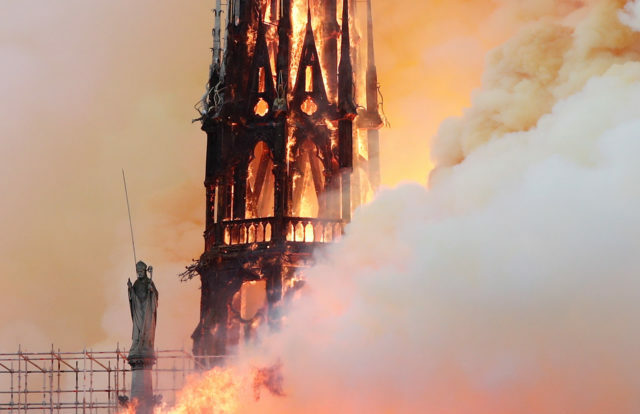 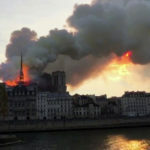 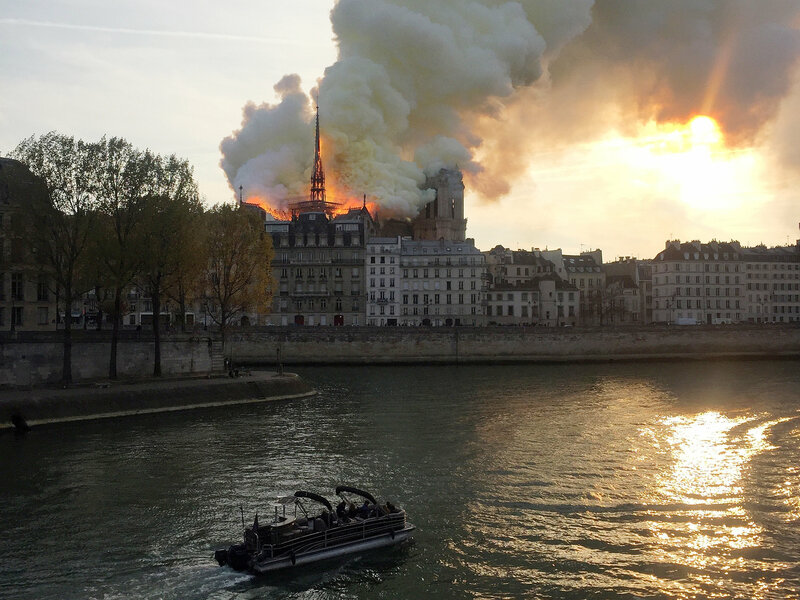 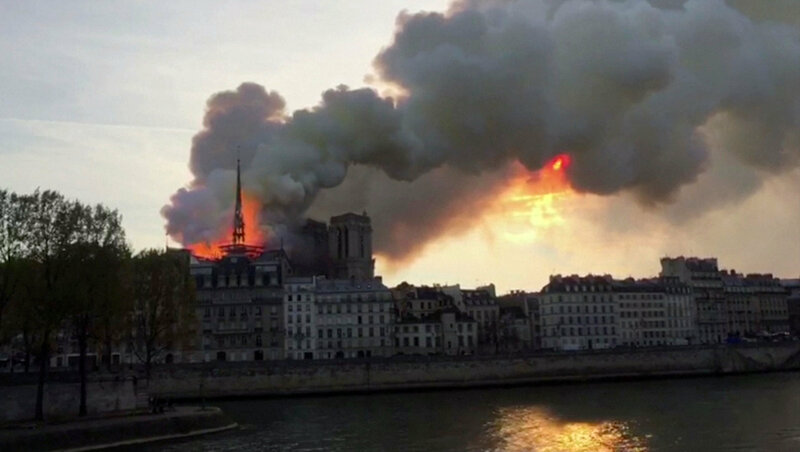 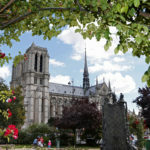 A major blaze engulfed the iconic cathedral April 15, sending pillars of flame and billowing smoke over the center of the French capital. 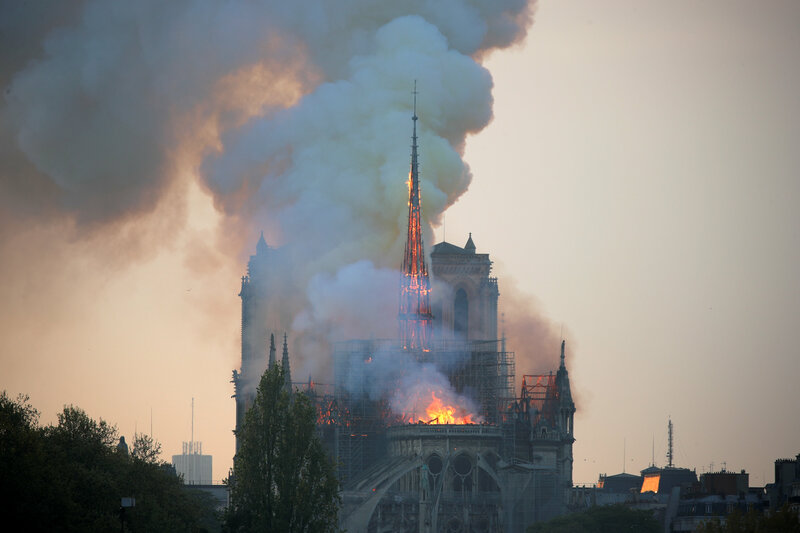 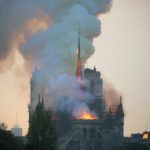 (CNS photo/Charles Platiau, Reuters) See PARIS-NOTRE-DAME-FIRE April 15, 2019. 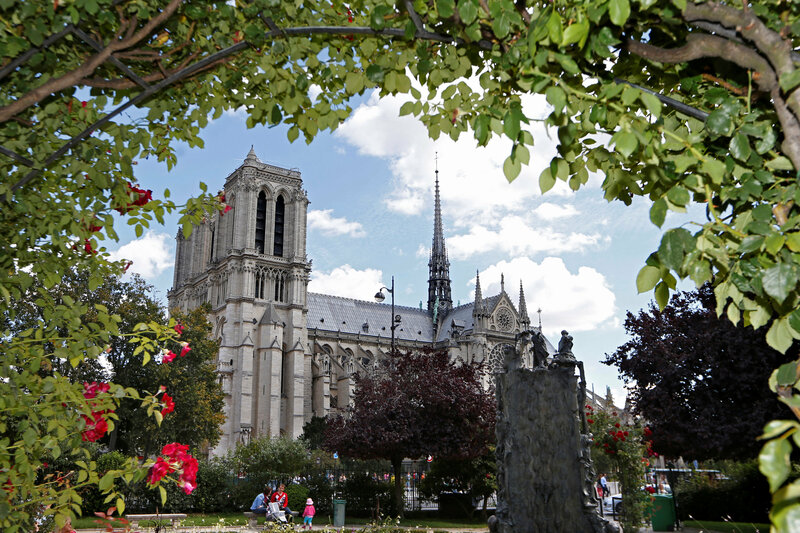 Vines with blossoms frame the Notre Dame Cathedral Aug. 22, 2014. 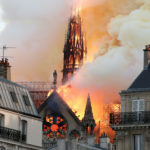 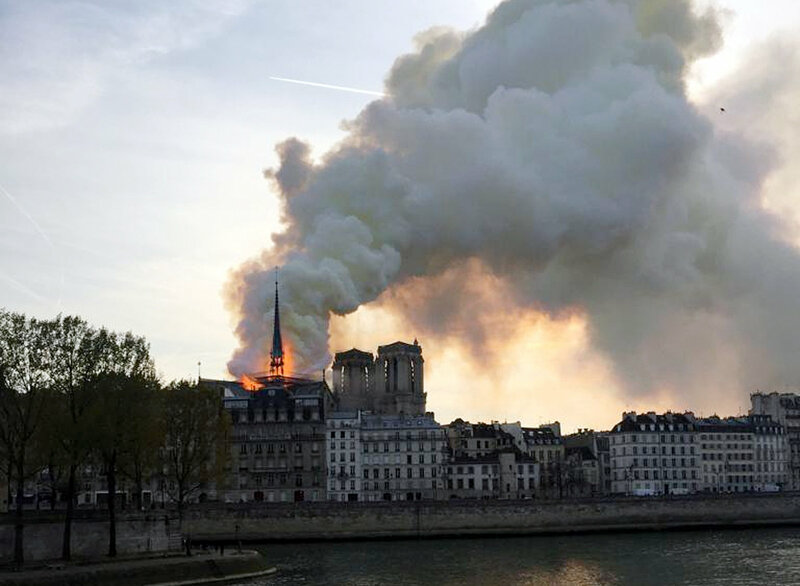 A major blaze engulfed the iconic cathedral April 15, sending pillars of flame and billowing smoke over the center of the French capital. 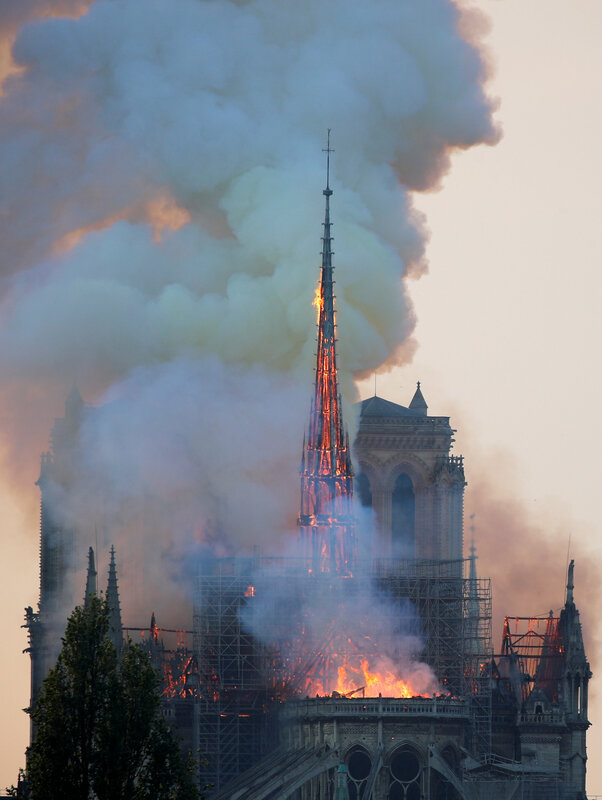 (CNS photo/Charles Platiau, Reuters) See PARIS-NOTRE-DAME-FIRE April 15, 2019.